Organisations in over 30 European countries will focus on promoting solutions to conservation issues and on to raising public awareness about this lovely bat species in 2018. 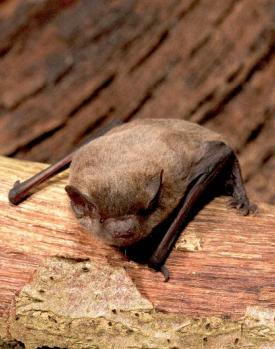 The lesser horseshoe bat is a very small species weighing only 4 to 7 g. Houses, churches and other buildings are used for their young to rear in summer. The preferred feeding habitats are woodland, hedgerows and orchards where lesser horseshoe bats hunt moths, crane flies, lacewings, and other insects. During winter this species can be found hibernating in caves, tunnels, mines and cellars. 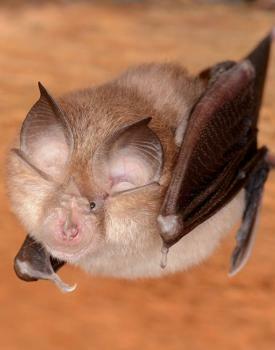 We're currently producing a lesser horseshoe bat factsheet which will be available here in late February - early March. Please check back soon. This year BatLife Europe asked its partners to vote for their 'Bat Species of the Year' and their chosen species is the Noctule, Nyctalus noctula. Dr. Jasja Dekker, chair of BatLife Europe commented: “BatLife Europe’s partners have chosen the Noctule bat as ‘Bat Species of the Year 2016’ because this fascinating species is a long distance migrant. As such, it is a perfect example of how one must look beyond borders and cooperate internationally to conserve sensitive species. This is exactly the reason BatLife Europe was established: helping bat species by letting NGOs cooperate and learn from each other. For this species, looking at how best to manage production forests and mitigate the effects of wind turbines is also important”. The distribution of the Noctule covers vast parts of Europe. While the breeding areas of this species are located mainly in the north-eastern parts, it hibernates mainly in south-western or southern parts of Europe. 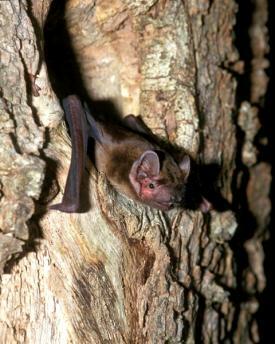 The Noctule is a typical forest species but it also occurs in other habitats, and even in cities, provided that there are enough old trees present. It finds its roosts in tree cavities and in the south of Europe also in caves. Nowadays it is even found roosting in buildings right in the middle of cities. BatLife Europe is pleased to announce our ‘Bat Species of the Year 2015’. Bat of the Year was created by the BatLife trustees in order to promote conservation issues and to raise public awareness for the nominated species. This year, in order that we could launch the project as soon as possible, the ‘Bat Species of the Year’ has been selected by the BatLife Europe trustees. In future, we will aim to open voting up to all of our partner organisations across Europe. And here it is: Nathusius’ pipistrelle (Pipistrellus nathusii)! The trustees chose the Nathusius' Pipistrelle as the species is found throughout most of Europe with individuals migrating over huge distances and travelling through many countries. It is the perfect species to illustrate how European NGOs can work together to promote and carry out bat conservation.